I just love Halloween! And having kids makes it so much fun to celebrate. We usually do themed costumes like this, but this year we ended up with three very strong opinions on costumes (mine counts right?). So a pink poodle, jedi, and bunch of grapes it is. 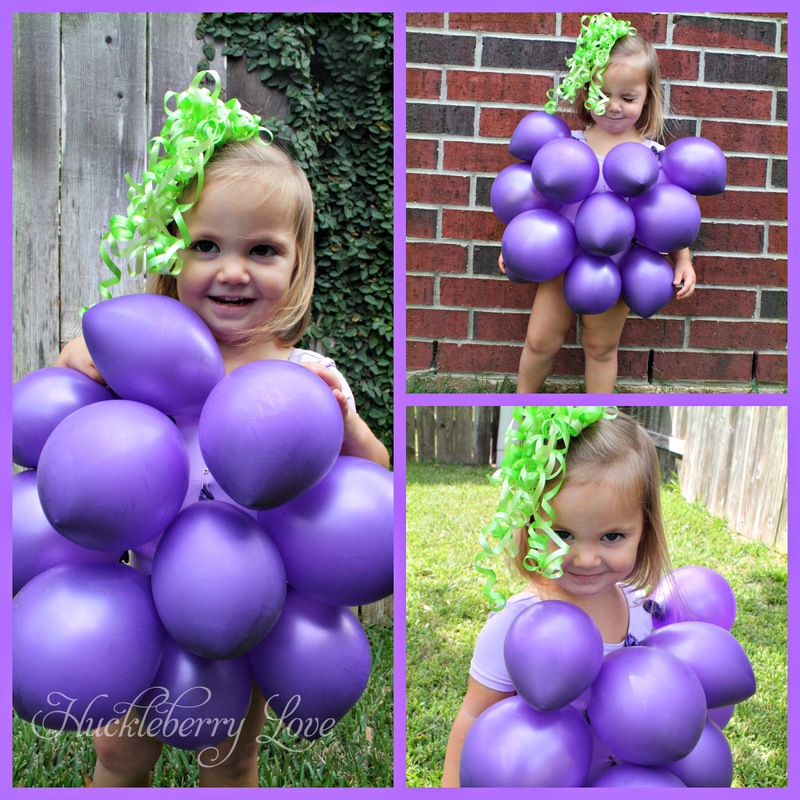 I've always wanted to dress my little one up as grapes, since it's sort of a Halloween tradition. 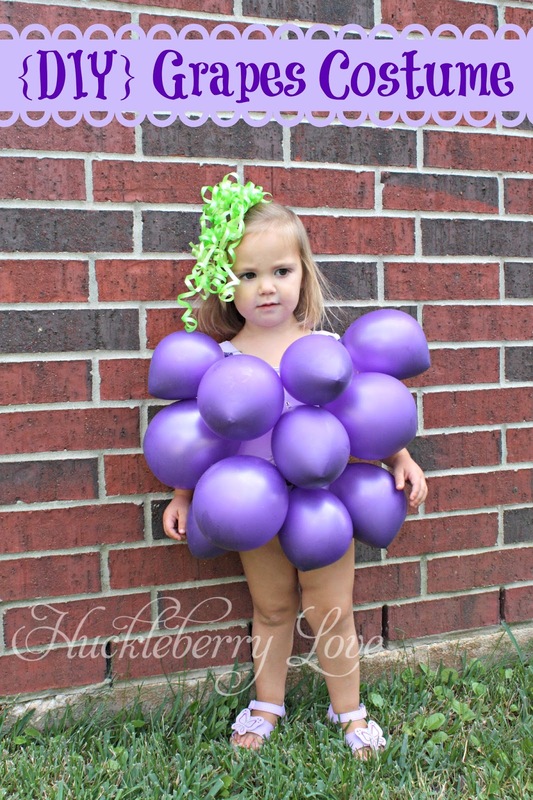 My mom dressed my sister and I as grapes when we were little, and it was super cute. 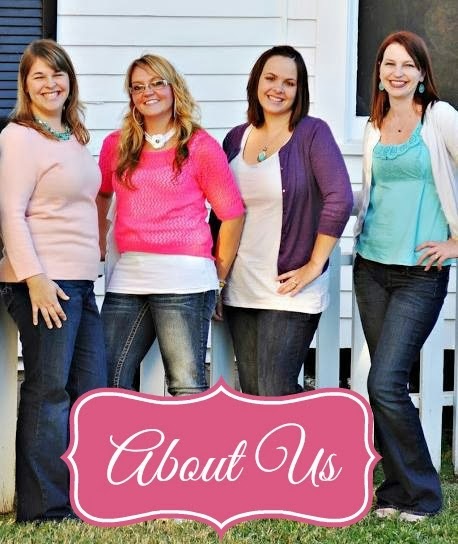 How much simpler can you get? A leotard and balloons, and I cannot get over all of the cuteness! So our family went to Zoo Boo, and we tried out miss Emmie's costume. It turned out way too cute not to share, so I played papparazzi before we left! What a great last minute costume, especially for those with toddlers who refuse to put costumes on! Who can turn down balloons? 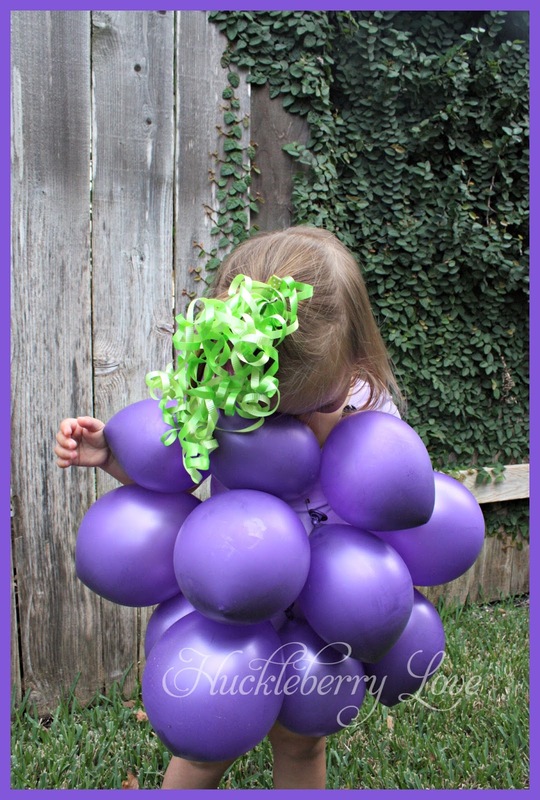 Curling ribbon worked great for the stem, and Jamie whipped up a little grape hat for Halloween! I'll be sure to update after the big night. Hope y'all have a happy and safe Halloween!